January, 2018 | AllTech Services, Inc.
Can Plumbing Problems Be Prevented? Your Ashburn, VA plumbing system is a complex one, snaking beneath your property and behind your walls, mostly hidden from view and linked together by yards of piping. It’s one of those systems that you rely on the most in your daily life, but also one of those that is easy to take for granted and difficult to keep in good shape if you don’t take the proper steps. There are a number of things you can do to keep your plumbing system in good condition, and therefore prevent plumbing problems. Take a look at our tips below on how you can do this. 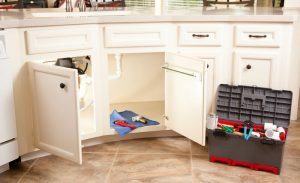 Posted in Plumbing | Comments Off on Can Plumbing Problems Be Prevented? If you’ve ever had to deal with a plumbing leak in your home or on your property, then you might already know that they rarely develop in a visible or easily accessible area. Even “minor” leaks can cause serious water damage, and eventually waste a significant amount of water. This makes professional Fairfax, VA plumber leak detection from an experienced plumber a vital service.